Watch as hundreds of stars and constellations are projected on your ceiling and walls. Discover the universe as you navigate through a 3-D virtual tour with the included Stellarium astronomy software. It's like being in a real planetarium! Listen as you are taken on an exciting audio tour of the night sky. Explore constellation art, astronomy grids, nebulas, planets and more. Includes 1 pair of 3D glasses. 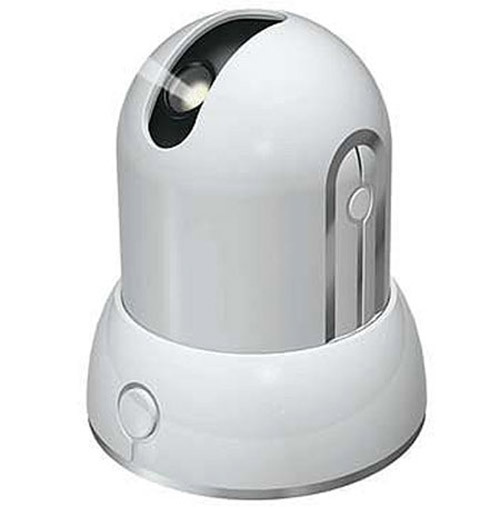 Requires 3 AA and 3 AAA batteries (not included). Includes a sun, nine proportionally sized planets with hanging hooks, moon, convenient foot pump, activity guide with fun planet facts, and repair kit. Each colorful planet inflates easily. 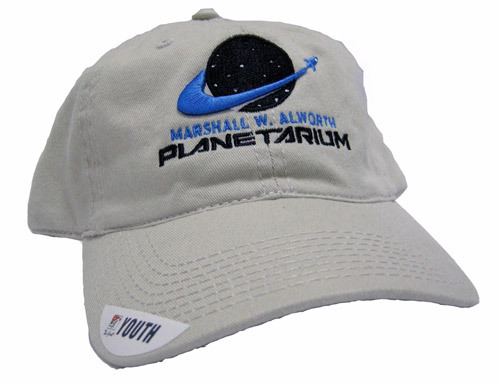 100% Polyester featuring an embroidered Marshall W. Alworth Planetarium logo and 2 front zipper pockets. 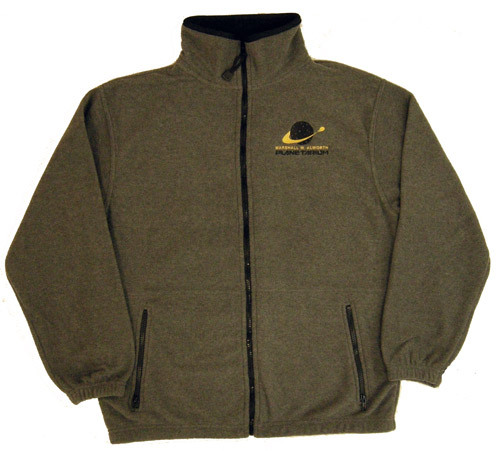 Please select option for Marshall W. Alworth Planetarium Fleece Jacket by CI Sport. 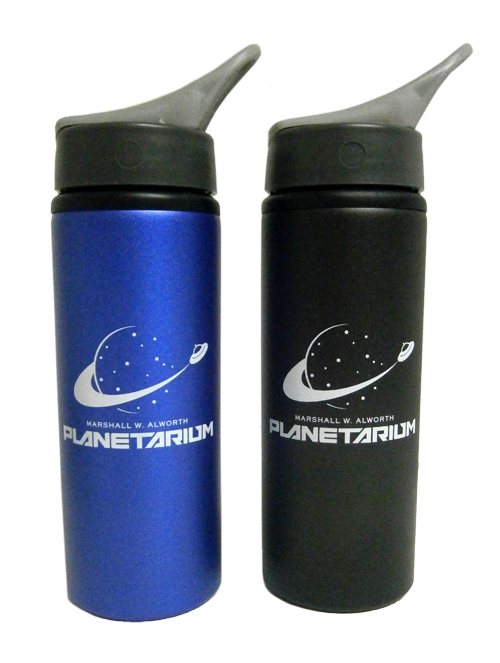 Stainless steel water bottle features planetarium graphics. Hand wash only. Available in blue and black. Please indicate color choice in customer notes box at checkout. The "sun" shines onto the nine planets as they orbit around it. The central tower and planetary support rods are black so that they "disappear" in a darkened room for a spectacular effect. Replace the solar dome with the star dome to create a spectacular planetarium sky, complete with major constellation names. In addition, the base features a special 1000 hour light bulb and planetary longitude marks so the planets can be set up to their correct positions. Powered by four C batteries (not included). Tom Anderson is a naturalist and a writer who splits his time between Minnesota and the Yukon Territory in northern Canada. Both places have augmented his love for the northern lights. In this guide, he describes the northern lights' characteristics and types, based on the phenomenon's varying appearances. Learn how to maximize your chances of seeing the northern lights. Match your observations with the author's descriptions. 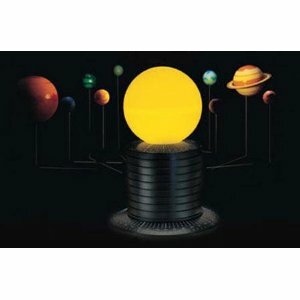 And learn about the history and mythology surrounding the lights. It's all possible with this handy, laminated guide. 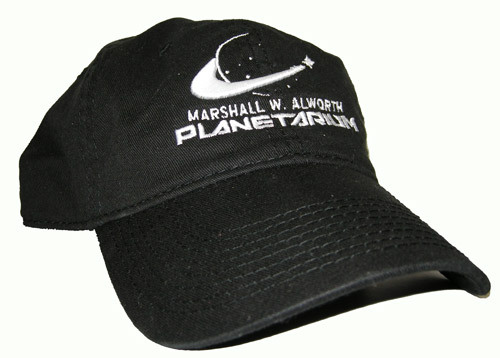 100% Cotton featuring embroidered "Marshall W. Alworth Planetarium" with Planetarium logo. Please select option for Planetarium Cap by The Game. 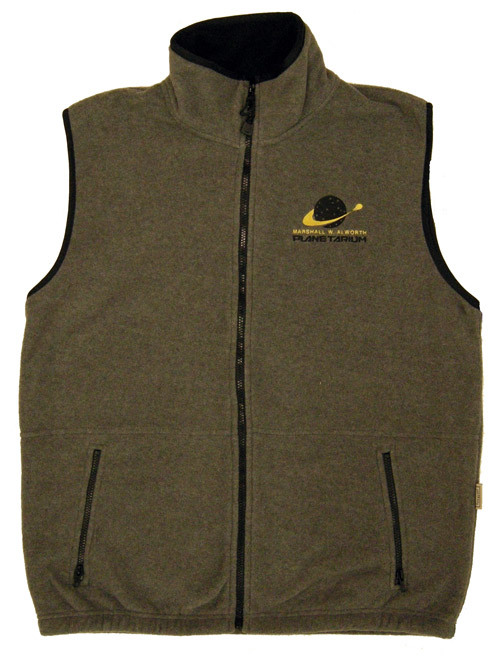 Please select option for Planetarium Fleece Vest by CI Sport. 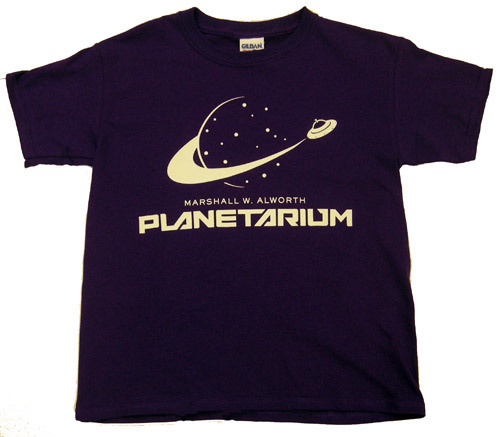 100% Cotton featuring screen printed glow in the dark "Marshall W. Alworth Planetarium" with Planetarium logo. Please select option for Planetarium Glow in the Dark Tee by New Agenda. Make a wish, and enjoy a shooting star show as you fall asleep. Also has glow in the dark stickers. Watch as hundreds of stars and constellations are projected on your ceiling and walls. Listen as you are taken on an exciting audio CD tour of the night sky. Control the meteor maker to create streaking comets and meteors overhead. It's like being in a real planetarium! Please select option for Youth Planetarium Cap by The Game.